The Duke and Duchess of Cambridge stepped out on Thursday to mark "Stop Speak Support Day," a special part of the UK's Anti Bullying Week. 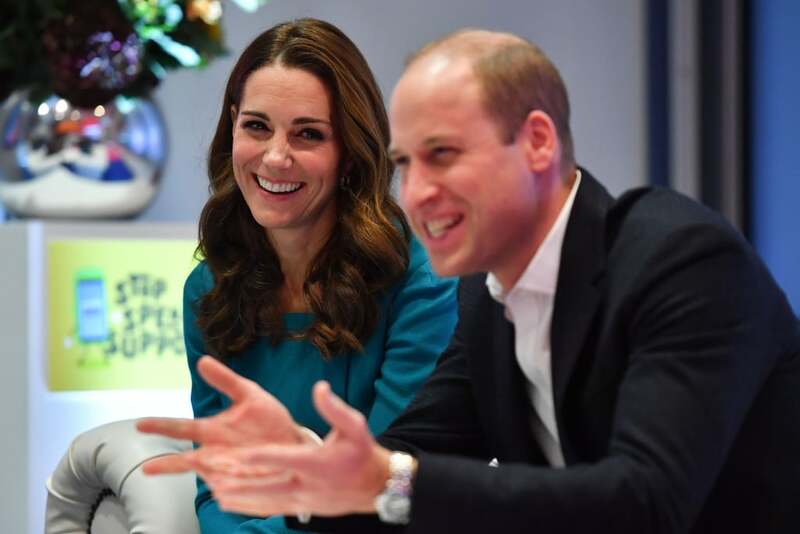 The royal couple paid a visit to the BBC, which is a key member of The Duke's Taskforce on the Prevention of Cyberbullying. The couple looked in good spirits as they arrived at the BBC's central London studios, before heading inside to chat with Director-General of the BBC Tony Hall and Director of BBC Children's Alice Webb. They also met local schoolchildren and young people to discuss cyberbullying and the issues that the younger generation faces. As parents of three young children who will grow up very much in the social media spotlight, this is clearly a cause close to William and Kate's hearts. See more photos of their important trip ahead.